Lightweight extra soft shiny yarn in relaxing pastel tones. The silk mohair blend makes it a perfect yarn for making feminine knitted jumpers. Yarn especially suitable for creating elegant between season garments. Length: 93 mts. / 102 yds. Interested in a pattern using this yarn? 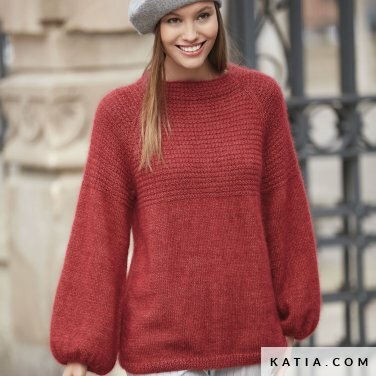 Please go to www.katia.com to download patterns for Seta Mohair.